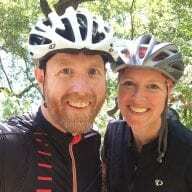 What does it take to reach level 10 on Zwift? 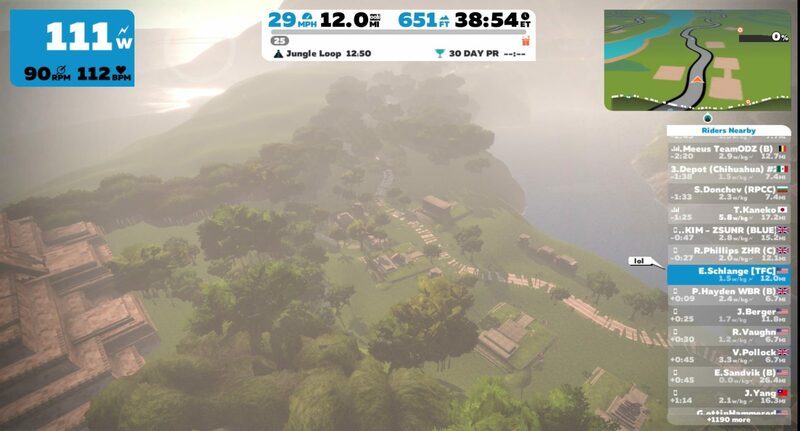 Zwift’s new Mayan Jungle course expansion is only available to Zwifters at Level 10 or higher. This is the first time ZwiftHQ has ever restricted new roads based on rider level, and it is definitely motivating Zwift newbies to level up. So what does it take to reach level 10? If you don’t understand how Zwift’s points system works, read Zwift Basics: points, levels and unlocks first. Based on that information, we can easily calculate you’ll need 16,000 points (XP) to hit level 10. Riding the Flat Route on Watopia gets you 206 XP for the distance alone (10.3km x 20 XP). You would also receive 10 points for completing the sprint section each lap. We’ll keep it simple and estimate you’ll get the Small Bonus power-up 1/4 of the time when you ride through the sprint or start/finish banner. That means, on average, you’ll get an extra 10 XP every other lap–or 5 XP per lap. Add it all up and each Flat Route lap will see you receiving 221 XP on average. If you average 35km/hr you will complete a Flat Route lap in 17:39. Let’s round that to 20 minutes. 221 XP every 20 minutes equals 663 XP per hour of riding. 16,000/663=24.13 hours needed to hit 16,000 XP. So there you have it. Just ride the Flat Route at 35km/hr for 24 hours, and you’re in. BOOM. Bonus: Level 10 gets you the ZIPP 808’s… the fastest wheelset on Zwift, based on our speed tests! Do you get the bonuses for sprints when you are on workout mode? Or are there other bonuses? Wow … I would have expected way more helpful information than this. The Zwift TT bike will always give XP bonuses as boosters, so you can guarantee XP that way. Various achievements give XP bonuses when you complete them, but I’ve never seen the amounts documented anywhere. Riding with units set to metro gives you a very very minor XP boost over riding with Imperial units. If you can join a ride in progress at the top of the radio tower climb, you can start your ride with a long but quick downhill. 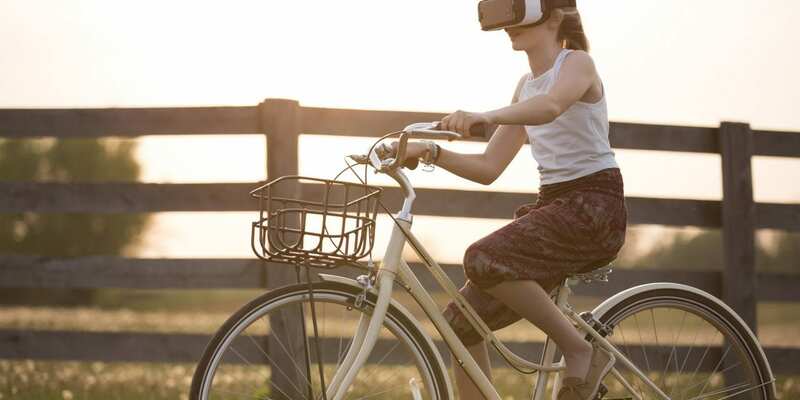 Combine that with a big sprint to get most of the Wattage bonuses and speed bonuses and you’ll be on your way than doing the obvious pedaling thing. Well, my goal here wasn’t to tell everyone all the way to game the system. I was simply explaining what it takes in normal Zwifting to hit Level 10. Thanks Eric for putting up this blog in your spare time – it’s a great resource and we appreciate it! Just replace your first sentence with “Thanks Eric for putting up this blog in your spare time, I’d like to add some more hints for the readers…” and you would have avoided the negative connotation of your comment. Isn’t there also a “Large Bonus” of 250XP that you can sometimes get? If you ride the flat route for one lap, you go under the banner twice. Once at the very start, and a second time when you finish. I can add something else. For the riding I have done, I seem to be getting around 47XP per mile. At that rate, one would need to ride 340 miles to make level 10. I sort of stopped paying close attention to it all after I made level 2. 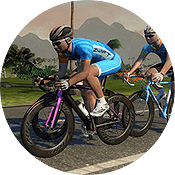 One other point – if you ride a single lap of the hilly route, you also get a power up for the KOM, so a single lap has 4 power-ups (2 start/stop, and one each of KOM and Sprint). Not bad for a 5.7 mile lap. Also hanging onto a group ride is a great way to gain XP points as you’ll be going much faster for your power output, hence covering the kilometres (not miles) quicker as part of a big bunch. Instead of the 35kph av stated in the article, you could be averaging over 40kph. Tack onto a WBR 100 or 160 ride! I cranked through to Level 25 on the strength of many group rides. Question: If you’re below level 10 you can’t ride the Mayan route, right? But if you join a group ride that is using the Mayan route and you’re under Level 10, you will get to ride it? Correct. Under level 10 you’ve got to join a group ride to get into the jungle.